Hideo Kobayashi fuses deep emotions with floor smashing sounds in his no holds barred productions and DJ sets. As well as making his music on real hardware and working with Ibadan's Jerome Syndenham as Nagano Kitchen, Hideo regularly gets championed by boss men like Francois K. A veteran of many gigs over in the West, as well as albums and EPs on a range of labels from Apt. international to King Street, he is a fine new addition to !Organism. 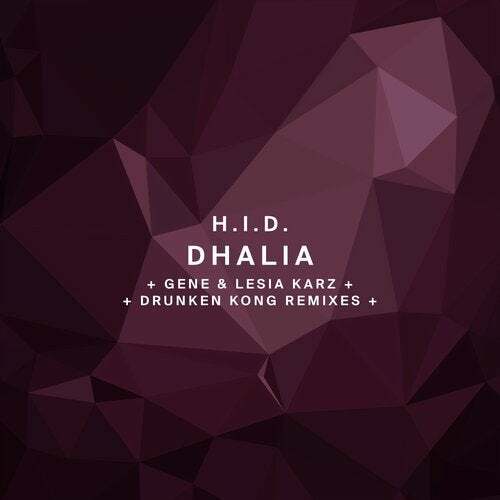 The EP opens with the delicious 'Dhalia', a prickly post-apocalyptic brew of darkened drones, industrial effects and rolling drums. It builds to a peak that will have floors in raptures and typifies a masterful warehouse sound that is designed with minimal effort but has maximal impact. Gene Karz & Lesia Karz are no strangers to the label and so make a fine choice for remixing. They decide to reimagine the original as a high pressure, rubberised roller with spangled synths gurgling up through the mix. Futuristic and unsettling, it is a great yin to the original's yang. 'SSKN' is the Japanese artist's other ace original. This one is more stripped back initially, only for paranoid sirens and bendy sine waves to add urgency and intensity to the slick kicks below. Loose Records techno talent Drunken Kong remixes this one and does so by stripping back some of the intensity and rebuilding the track as a rolling tech cut with chattery claps, dark blast of bass and menacing synths that rumble throughout. Another winner from the !Organism stable.